Shire Publications Ltd. Paperback. Used; Good. **WE SHIP WITHIN 24 HRS FROM LONDON, UK, 98% OF OUR ORDERS ARE RECEIVED WITHIN 7-10 DAYS. We believe you will be completely satisfied with our quick and reliable service. All orders are dispatched as swiftly as possible! Buy with confidence! 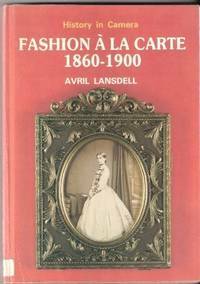 Fashion a LA Carte, 1860-1900: A Study of Fashion Through Cartes-De-Visite (History in Camera). Shire Pubns,, 1985.. Paperback. Used, very good. Cover a little worn, old price on first page won't quite erase. Dark red softcover with cover photo of an old photo in frame, 1985, Shire Publications, 96pp. Cover moderately rubbed **We provide professional service and individual attention to your order, daily shipments, and sturdy packaging. FREE TRACKING ON ALL SHIPMENTS WITHIN USA. Aylesbury: Shire Publications, 1985. 96p., b/w illus., stiff wrappers (History in camera). Shire Pubns, 1985-09. Paperback. Good. 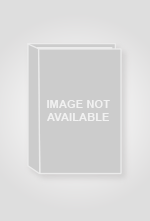 Shire Publications Ltd.. Good. 1992. Paperback. History in Camera series. Paperback; good in creased card covers. Reprint. 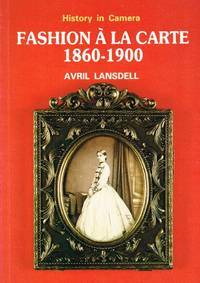 ; Nearly two hundred cartes-de-visite showing the changing Victorian fashions over forty years. Illustrated. ; 96 pages . Shire Pubns. PAPERBACK. 0852637470 PREVIOUS OWNERS INSCRIPTION ON FIRST ENTRY RUBBING TO COVER . Fair. Princes Risborough: Shire Publications Ltd, 1985. 96 pages, 190g. Soft card covers a little rubbed to edges, Near FINE. Illustrated with contemporary b/w photographs. . 1st Edition. Soft Card Cover. Near FINE/No Jacket. 8vo - over 7¾" - 9¾" tall. Shire Pubns. PAPERBACK. 0852637470 Like New Condition. . Fine. Shire Pubns. PAPERBACK. 0852637470 New Condition. . New. Shire Pubns, 1985-09-01. Paperback. Used:Good.